In a published opinion Thursday, three justices of the 4th District Court of Appeal said Briggs knowingly represented a suspended corporation in a lawsuit challenging a new San Diego tax to finance an expansion of the downtown convention center, but didn’t acknowledge it and then didn’t give a reasons for his actions. Publication of the opinion means it can be cited as legal precedent. In short, the court found Briggs and his law firm — Briggs Law Corp. (BLC) — broke the law when they entered into lawsuits on behalf of a corporation, San Diegans for Open Government, they knew to be under state suspension at the time. “In light of this clearly unethical and possibly criminal conduct, we expect some explanation of BLC’s actions. BLC provides none,” Huffman wrote. He was joined in the decision by Justices Gilbert Nares and Judith Haller. City Attorney Jan Goldsmith declined to comment on this story. “Courts are given broad latitude to choose the words they use in their opinions. Even so, because ethical conduct is core to the role of a lawyer, it is extremely rare for any attorney – especially one who has been elevated to the bench and whose published opinions will become a permanent part of California jurisprudence – to suggest that an identified attorney has engaged in unethical or unlawful conduct. The appellate court opinion has its roots in a November 2011 San Diego City Council decision to create a special district to levy a tax to finance the expansion of the San Diego Convention Center. The City Attorney’s Office, in what’s known as a validation action, then asked a judge to find that the city had complied with the law when it established this new district and invited anyone opposed to sue. In July 2012, Briggs — on behalf of San Diegans for Open Government (SDOG) — accepted the invitation and filed suit, challenging the new tax, as did local activist Melvin Shapiro. The Superior Court ruled in favor of the city, but on appeal, Briggs and Shapiro won. Briggs asked for attorneys fees in December 2014 in the amount $862,000. However, the city raised the issue that Briggs’ client — SDOG — was suspended by the California Franchise Tax Board and Briggs knew it when he filed the lawsuit. Later, a paralegal at Briggs Law Corp. filed paperwork to have the corporation reinstated. Superior Court Judge Gregory Pollack warned Briggs at the time that he could be in trouble with the California State Bar or the authorities, but in the end awarded SDOG $258,629 in attorney fees. The city appealed and won on Thursday. “Such blame shifting and obfuscation does not carry the day,” he wrote. Full disclosure: San Diegans for Open Government sued inewsource and its media partner, KPBS, but lost in Superior Court. The case is on appeal. For more than two years, inewsource has been investigating Briggs and the dozens of nonprofits he is affiliated with. 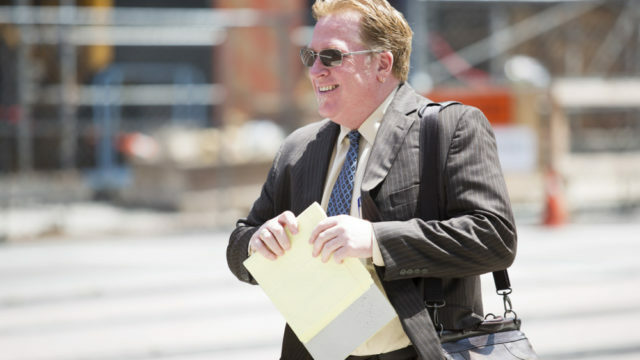 Briggs is a well-known San Diego environmental and public-interest lawyer who has made a name for himself suing government agencies and developers under the California Environmental Quality Act. inewsource reporters combed through thousands of pages of land records, environmental impact reports, invoices and contracts and found highly questionable transactions, potential conflicts of interest and a persistent disregard for state and federal laws. Briggs Law Corp. shares an address with more than 30 nonprofits, almost all of which Briggs and his firm have represented in court. Briggs Law Corp. is also responsible for having registered nearly all of the groups. Briggs’ cousin and his wife sit on the boards of at least 10 of them. According to state and federal filings, the majority of the nonprofits don’t exist outside of court. Instead, they serve as vehicles for lawsuits. State and federal agencies have suspended or revoked the nonprofit or corporate status of more than half of the groups — including San Diegans for Open Government — for failing to file legally required documents showing finances, mission statements and board structures. Briggs is married to Sarichia Cacciatore (inewsource confirmed this after requesting their confidential marriage certificate). Their marital status was a question in joint land transactions that were the subject of inewsource inquiries. She was a biologist for Helix Environmental Planning, a consulting firm that helps government agencies comply with the California Environmental Quality Act (CEQA). CEQA is Briggs’ specialty. And Cacciatore was vice president of the Briggs Law Corp. The disclosure led to a $143,000 refund to the city from Helix.